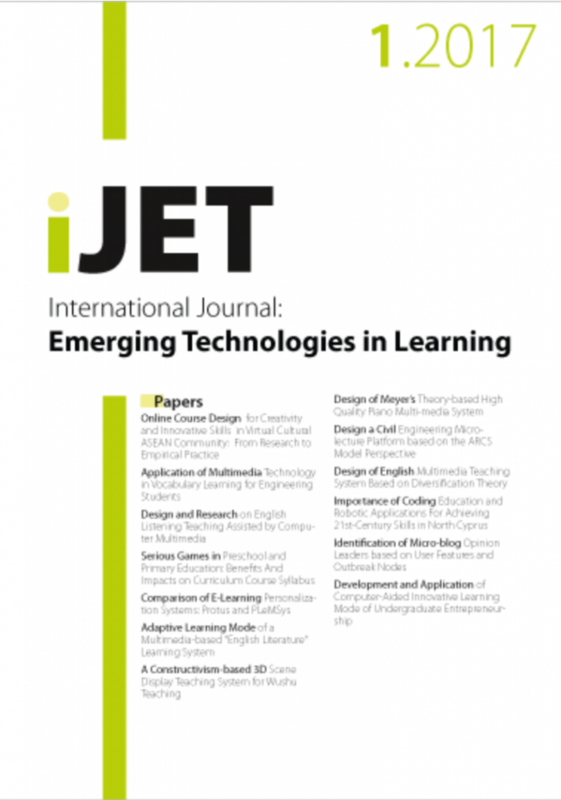 Issue 14(6) of our journal on emerging technologies for learning got published. Enjoy the readings as usual for free :-). Issue 14(5) of our journal on emerging technologies for learning got published. Enjoy the readings as usual for free :-). Issue 14(2) of our journal on emerging technologies for learning got published. Enjoy the readings as usual for free :-). Issue 14(1) of our journal on emerging technologies for learning got published. Enjoy the readings as usual for free :-). Issue 13(12) of our journal on emerging technologies for learning got published. Enjoy the readings as usual for free :-). Issue 13(11) of our journal on emerging technologies for learning got published. Enjoy the readings as usual for free :-). Issue 13(10) of our journal on emerging technologies for learning got published. Enjoy the readings as usual for free :-). Issue 13(9) of our journal on emerging technologies for learning got published. Enjoy the readings as usual for free :-). Adaptive Education based on Learning Styles: Are Learning Style Instruments Precise Enough? Issue 13(7) of our journal on emerging technologies for learning got published. Enjoy the readings as usual for free :-). Perception and Text Comprehension. It’s a Matter of Perception!